While all the tourists were cruising past St. Patrick’s Cathedral in Dublin, my attentions were focused around the corner. Jam Art Factory is a funky indie shop and gallery space that sells photos, toys, paintings, sculptures, handmade cards and postcards — all by local contemporary artists in Ireland. While I highly encourage shopping locally, I found that Jam Art was an excellent place to pick up “anti-souvenirs,” the worldly tokens of my travels that stray far from cheesy magnets. I’m pretty sure that they named Jam Art Factory for the amount of cool artistic goodies that they managed to jam into a tiny storefront. Jewelry counters, paper goods, wall art, and 3D sculptures make the space a well-rounded shopping experience. If the name doesn’t have anything to do with that feature, then I’m stumped. Practically the only product I didn’t spy in the shop was jelly/jam. 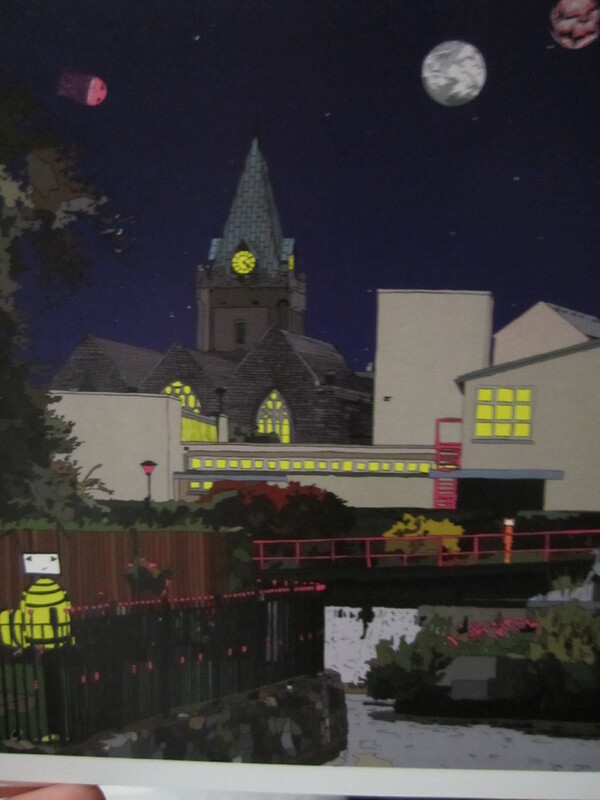 Futuristic fun makes this Shane O’Connor digital print of Dublin seem as other-worldly and magical as it did to me the first time that I walked through the streets. How did I miss the moonlit jellyfish floating past St. Nicholas?! 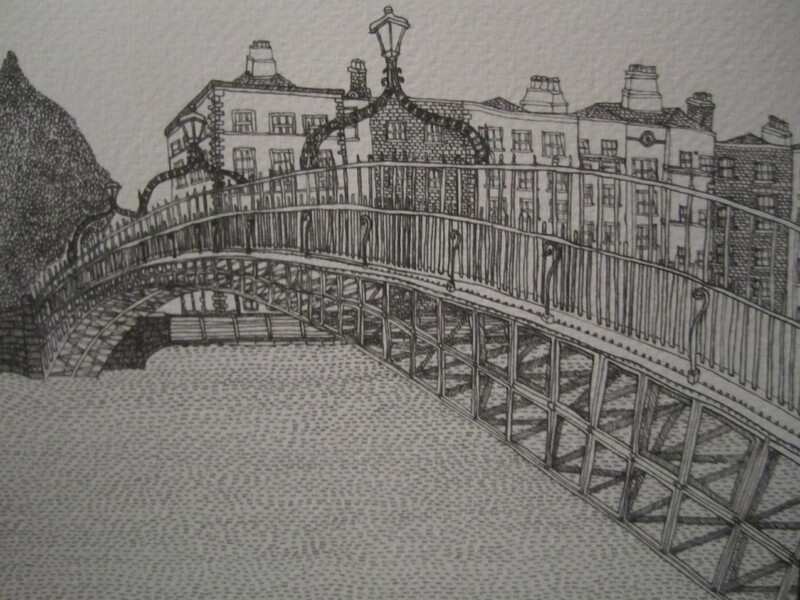 Crossing the Ha’Penny Bridge is a total must in terms of Dublin sightseeing, but I think this drawing by Kate Bragan is an ultra awesome way to commemorate it. This is technically a note card, but I will be framing mine as the fine work of art that it is! Either of these prints would be great for sending, gifting, or receiving — three must-haves when you’re shopping for travel trinkets. I could have spent all day inside the Jam Art shop, perusing the different artworks and jewelry designs. The inviting atmosphere of the store made me spend quite a bit of my sightseeing time in the shop — but believe me, it was no time wasted. 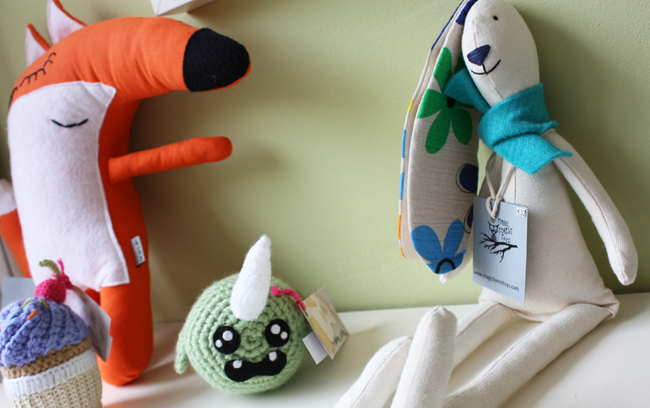 If you go, Jam Art Factory is located at 64-65 Patrick Street, Iveagh Buildings, Dublin 8.